Those with a keen interest in the Old Bridge may be aware the Trust recently put in a listed building consent application to remove a plaque. 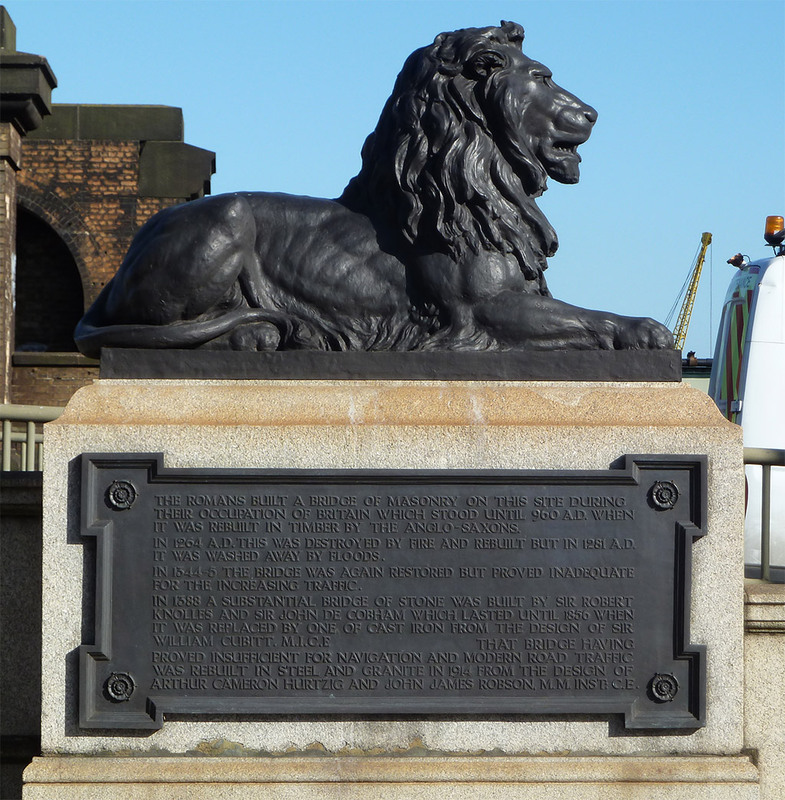 The plaque in question is found under one of the large lions at the Rochester end of the bridge. 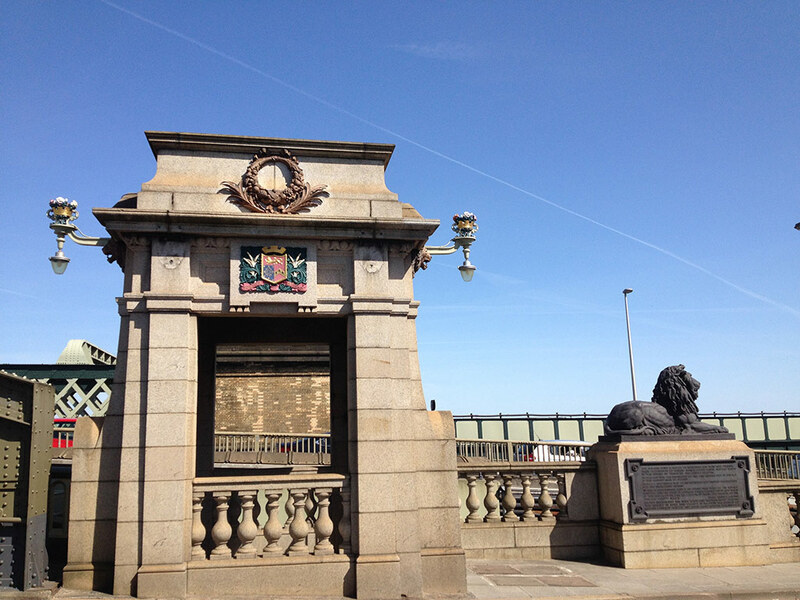 As this has been on the Old Bridge since it was opened in 1914, you may be wondering why the decision to remove it now? The proposed removal coincides with the start of a series of renovation and refurbishment works that are due to take place on the bridge. As the crossings are part of a busy infrastructure network, minor works such as this are delayed until a time when they will cause minimal disruption to the travelling public. More significantly, pedestrians have to walk across a busy road to be able to read it, and when they get there they are rewarded with incorrect historical information, so it is proposed to remove the plaque for the interests of safety and accuracy. The inaccuracies include: There is no real evidence that the Anglo-Saxons rebuilt the bridge in timber. The Roman bridge had stone piers and a timber deck and there were many occasions over the centuries when the timber of this original bridge was repaired and replaced. It is misleading to give the unverified impression that there was a timber bridge built on the site. Also, since the plaque was installed, more research has been carried out which establishes that the medieval bridge was completed in 1392.